I’m making a board game! What a journey this has been! The first time attempting to play this game was, honestly, a complete disaster, and we really couldn’t finish one game– let alone easily finish a couple of rounds of play! I knew it was still so early on in the process, though, that it would be impossible to know the final product that my partner, Bowen, and I brainstormed. During this initial play session, we determined some rules. As a deaf person, I was a really interested (yet completely exhausted) from the experience brainstorming a prototype in a game lab where there was so much noise and excitement from other brainstorming sessions. It’s profound how this kind of creative energy is felt, and does not actually require verbal communication. Bowen and I talked about incorporating dominoes, pawns, tokens, coins, and chess-like movements of a destroyer piece. Bowen and I determined the following rules, which have dramatically changed since this initial conception. I grew concerned at the growing number of too many “if, then” scenarios we had created for the game. For instance, during a round, Bowen played a basic Turn Action with a domino and pollinated a space on the board. When it was my turn, I did the same, but I really wanted to destroy his piece, so we wrote in the Destroyer “L-formation” as a Take-that rule but we forgot to establish an actual clear-cut rule regarding the Destroyer’s starting point, so this issue definitely came up during play session 2. Well, anyway, here are all the contingent rules that set us up for later disaster. We wrote these rules on small index cards as a guide. First person to pollinate ten (10) spaces wins. Setup: Each player draws three (3) domino tiles from the face-down draw pile. Players begin by placing their pawn/unit on lower right-side of their short half of the board. Players’ pawn/unit cannot land on nor pass-through enemy-occupied/owned territories. Wasp (black pawn/unit) goes first. Turn Action (“standard”): Pollenate — Choose and play only one half of numbered domino tile. Turn Action (“standard”): Destroy — Destroyer piece moves in “L” formation. Turn Action (“special”): Half-blank tile — eliminate neighboring pollinator adjacent to instigator’s pawn/unit. Turn Action (“special”): Double number tile: place protection coin on any of your owned territories. Discard used domino tiles to pile. Draw new tile. b) move the opponent’s pawn/unit to a neighboring, adjacent territory. Again, we really were so stuck referencing the rules so much, that it took away from the basic game, which was to pollinate spaces on the board. During this play-test session, so much was discovered about the possibilities and the downfalls of this board game. My new opponent and I ventured forth and he asked whether the three dominoes should be hidden from the other player. I changed the rule verbiage to say what Bowen and I had originally meant, which was that the draw pile should be face down and the three tiles each player has in their hand should not be revealed to the other player. Also, my opponent asked who decides who was wasp (the pawn in the original concept). Good question! A roll of the dice? Draw from the domino pile? I amended the rule to include that the player who draws the highest domino determines who is the Wasp, and that Wasp goes first. The “L-formation” Destroyer piece was in serious contention during this session. Where was it supposed to start? Where the player’s pawn was located? Anywhere on the board? Also, the Destroyer piece seemed too powerful to keep as a regular turn, so when I tried to explain explained it to my opponent, the idea really seemed too confusing in the end, especially considering how the hex patterns create an unusual path. During another attempted round, my opponent asked whether you could win by trapping another player (blocking was still part of rule set at this point). So, I ended up omitting the blocking rule, as the constraints of the board were already quite limiting in movement, and a player could basically trap the destroyer on the second move (contingent upon the destroyer beginning at home base, that is). So, as you could see, it was a snowball effect of tricks that just wouldn’t play-out. In the end, I gladly removed the blocking rule and took out the Destroyer piece. This seemed to slightly lighten up the mood. The game was really no fun at this point as it was completely unplayable and unenjoyable. We mutually agreed to quit after playing countless rounds that either destroyed or pollinated, sending us into a never-ending loop of pollinate and destroy. Neither one of us would win as the game was structured, unless someone decided to concede because they were tired of playing. I technically won ten spaces so we would have a winner. We were both begging for a winner so it would end. There should have been some sense of agency, but the overall resulting dynamic of too-clunky domino mechanics and annoying moves really prevented anyone from having an enjoyable game experience. My opponent’s feedback was as expected: the Destroyer should go somewhere far away and never return; ten pollinated spaces was a lot the way the game was structured; the rules seemed arbitrary and were hard to remember; the blocking was restrictive. Sad face. I won and we were both ready to quit at this point. So, at this point, the basic mechanic of dominoes is OUT. Tiles were replaced by dice-rolling in this area management/area control game where you’re basically a bee that buzzes around the board and pollinates/owns territories. I made quite a number of rule changes, and added different bee options and omitted wasp. Even though a wasp is a pollinating insect, it isn’t a very good one compared to the bees I selected. Also, the board playing area was limiting in both previous play sessions, so to change it up, I added a couple more hex rows. So, here we are, all ready for play-test session 3. I placed the new hex-board and had a mock-up of all the bee powers made so it was in front of us. So far, so good. We rolled to see who would go first. I rolled highest, so I got to also choose the first Bee Power Card, which allows me certain bee superpowers, which I could activate whenever I rolled doubles. I picked Carpenter Bee, who destroys any owned farms within a one-hex radius. 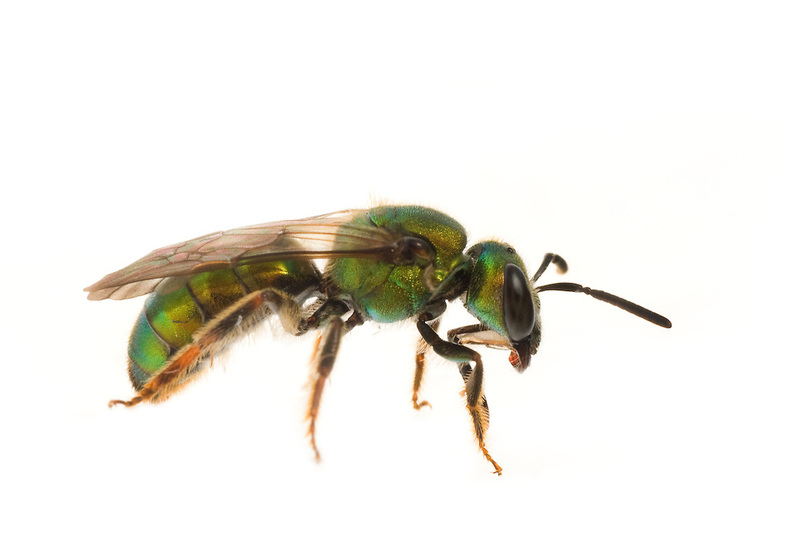 My opponent chose the Sweat Bee, which pollinates (owns) and protects two unowned farms. As I discovered, this take-that mechanic by way of Bee cards works so much better than using a Destroyer piece. Right away, we both commented on the balance of special Bee powers. I don’t remember what we rolled for a couple of turns, but THAT’S a good thing. Forgetting for that short moment suggested that maybe we were actually getting interested in this game. Was there fun locked up in here somewhere? We really wanted to find it. My opponent liked that he could move more fluidly around the board. Good thing I added those two extra rows, eh? On turn 4, I rolled doubles! I was excited, which didn’t happen until that moment, because I had to pick from what seemed like so many action options: I couldn’t decide whether to move and destroy in a 1-hex area, to purchase a protection coin from the bank, or to just move half the dice roll of 3. I took the token. During the next turn, I used the token to counter my opponent’s attack. So, yay for that, right? The options seemed to keep me and my opponent really invested in the game. For the next few rounds, we grew quiet. Serious. We actually had some focus, but in that fun, lusory sort of way. How to win: Be the first Bee to pollinate eight (8) farms. What’s the Buzz? : Players buzz around the board as one of six different bees. Pollinate a farm— or overthrow an opponent’s farm— all with the roll of the dice. Use the power of organic farming to protect your fields from enemy bee attacks! How to Play: Players take turns rolling the dice to determine Bee movement. The three basic movements are No Doubles, Standard Doubles, or Special Doubles. No Doubles: Move the number of spaces of the highest-rolled die. For example, if the roll is a three (3) and a six (6), the player must move the six spaces. During this move, a player can either Pollinate or Buzz-Off!. +Pollinate— if the final space a player lands on is not pollinated, the player can own the farm by placing a Pollinator Token on the space. +Buzz-Off!— if the final landing space is already pollinated by the opponent and is not protected by the power of an Organic Protection Coin, the player can remove the opponent’s Pollinator token and return it to the player’s personal bank. If a player rolls doubles, choose one of two options: Standard Doubles or Special Doubles. Standard Doubles: A player can Protect, Purchase, or Overthrow. +Protect— If you have an Organic Protection Coin in your personal bank, you can place it on any farm that was pollinated during a previous turn. +Purchase— Collect one Organic Protection Coin from the public bank and place it in your personal bank. +Overthrow— Your bee moves using the full value of the double. If the bee comes to rest on an opponent’s non-organic farm (and the opponent does not/cannot counter-attack by using a Protection Coin from the personal bank), remove opponent’s Pollinator from the farm and return the Protection Coin to the public bank. Gain power of the farm by placing a Pollinator Token. Special Doubles: Rolling doubles activates a player’s Bee Power Card. The Special Doubles movement can be played instead of a Standard Doubles move. Honey Bee— Move two (2) times, using the value of one die for each move. Bumble Bee— Special overthrow. Bee Card overrides the protection of one (1) enemy-owned organic farm during a special overthrow. If the enemy presents a coin from personal bank, the Bumble Bee cannot overthrow the opponent’s farm; instead, the player removes the organic protection coin and return it to the public bank. Long-horned Bee— Destroy any two (2) enemy-pollinated farms. Remove only the organic coin if the opponent’s farm is protected. Sweat Bee— Pollinate and place organic protection coins (from public bank) on any two (2) unowned farms. Leafcutter Bee— Pollinate any two (2) unowned farms. Carpenter Bee— Destroy all pollen within a 1-hex radius, starting anywhere on the board. Had I more time on this project, I would definitely work into the prototype the tokens and coins so they could be printed right along with the game board, rules, bee cards. The game board itself is certainly in need of some changes, but the time constraints limited me from working on this project. Yes, I know it looks pretty hokey, but it’ll do for now. Get out there, you busy little bees, and spread that pollen. Buzz Off! Bzz bzzz bzzzzz! This entry was posted on February 29, 2016 by Doralice in Uncategorized and tagged game.